Looking for some creative ways to support individuals living with multiple sclerosis (MS)? In the following list, we’ll show you six different ways you can help MSAA improve lives today—without breaking the bank. 1. AmazonSmile— AmazonSmile is a great way to support the multiple sclerosis community without spending extra money. Simply select the Multiple Sclerosis Association of America as your charity of choice, and Amazon will donate 0.5% of the price of your eligible purchase to MSAA! Click here to learn more or to make a purchase. 2. eBay Giving Works— Do you have some things lying around the house that you’d love to sell on eBay? If so, you can choose to donate a portion of your sales to MSAA. Visit eBay’s Giving Works website to learn more. 4. 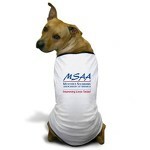 CafePress— Get all your MSAA and Swim for MS swag here. Everything from bags and water bottles to t-shirts and bracelets make great gifts. Check out the full inventory. *We’re sure you’ll love our shirts, but we can’t promise you’ll look this cute wearing them. 5. PuraVida Bracelets— Help us raise awareness of multiple sclerosis by purchasing an MSAA bracelet from PuraVida. $1 of each bracelet purchased will go directly to MSAA. Visit PuraVida’s site to learn more. 6. Host a Pool Party— Now that summer’s here, invite your friends and family to the pool and have a Swim for MS themed pool party! Provide games, snacks, music, and ask for donations at the door. Your only pool party requirements for this easy event are fun & sun! Email swim@mymsaa.org to start planning your event. 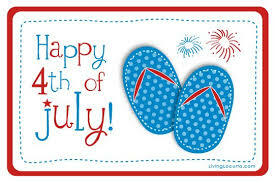 However you choose to show your support for the MS community, MSAA would like to wish you and yours a safe and enjoyable summer. If you or a loved one struggle with MS symptoms during the summer heat, please visit our website to learn more about MSAA’s Cooling Program or call MSAA’s Helpline at (800) 532-7667 ext. 154. Congratulations Julia, for being the top Swim for MS fundraiser during the month of June! Congratulations Kara for winning a Swim for MS swimsuit! This suit was designed and made by HARDCORESWIM! How do I Swim for MS? Go the Distance – Individuals or teams set a challenge goal to swim a certain amount of laps, distance, or time during one day or over a set period of time. Make a Splash – Participants turn fun pool activities into exciting fundraisers such as pool volleyball tournaments, cannonball jumping contests, and more! How do I receive Community Service Credit? If you or someone you know needs to fulfill community service hours – Swim for MS! Swim for MS is a “virtual volunteer opportunity” – this means that you contribute as much time as you can – when you can! Set your challenge goal – Swim 100 laps in 10 hours and raise $150. Ask your friends and family to support your cause. Keep a log of hours swam and track your progress on your page. Once completed, email swim@mymsaa.org to receive a confirmation letter of your hours! MSAA has partnered with HARDCORESWIM to provide exclusive Swim for MS swimsuits! HARDCORESWIM is based in Southern California and all items, from start to finish, are produced in the USA. Two different Swim for MS styles are available for men and women! Check out the Swim for MS page on their site and order your suit today! While for many the “unofficial” start of summer is Memorial Day weekend, today is the summer solstice, which is the astrological start of the summer season. Typically this is the longest day of the year. This doesn’t mean our day has more than 24 hours in it – we just have more sunlight than any other day. So what better way to enjoy all that sunlight than to jump into the pool for Swim for MS?! For those of you who do not know, Swim for MS is MSAA’s signature volunteer initiative which allows individuals to create their own swimming fundraising event while recruiting online donations to support MSAA’s mission of improving lives today. How can you Swim for MS? Host a summer pool party on the weekend! Set a goal to swim 500 laps throughout the summer to raise $1,000! Create a pool volleyball tournament with your friends! Participate in Swim for MS and pledge to swim 100 laps and improve your fitness by the end of summer! For more information on how you can Swim for MS, please visit swimforms.org! Summer is almost here! Start to plan your summer Swim for MS event today! 1. Host a summer pool party for Memorial Day weekend! 2. Set a goal to swim 500 laps throughout the summer to raise $1,000! 3. Create a pool volleyball tournament with your friends! 4. Participate in Swim for MS and pledge to swim 100 laps and improve your fitness by the end of summer! MSAA’s Special Swim for MS May Prize…is a Modify Watch! Anyone who registers for Swim for MS will be entered to win a Modify Watch! Modify Watches are interchangeable watches allowing an individual to mix-and-match faces and straps to create the “Mod” that best suits you! Browse the Modify Watches blog for more information on their nonprofit collection and how to purchase a “Together” watch. 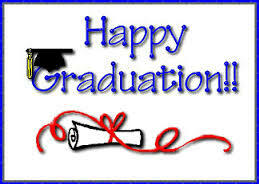 Please note: participants must register during the month of May 2013 (5/1/2013 through 5/31/2013) in order to be eligible. The winner will be announced via email in the June 2013 edition of the Swim for MS News e-newsletter. Congratulations to Laurieann Hart for raising $1,220 through Swim for MS in the month of April! You’ve heard of all the banal platitudes like “Never take ‘no’ for an answer,” “If you fall off the horse, get right back up,” and ”When there’s a will, there’s a way” – I’m almost certain my mother coined all of those phrases. My mother was diagnosed with multiple sclerosis (MS) at a young age when she started losing vision in one of her eyes. Fortunately that symptom subsided and she continued living her life as she intended. Four kids and a few decades later, the disease awoke again with a force to be reckoned with. Our warm summer beach vacations were moved to cool mountain ranges in order to minimize her exhaustion. Our Sunday afternoon bike trails shortened. Our floor-level card games moved to higher ground. Afternoon rests became a daily routine. Our everyday Mom activities had changed forever. At least that’s how I saw it. My mother, on the other hand, never let that be the case. She never sought out pity from others, she never asked for help. Anything we did before, she’d find the strength to do it in her own new way. She wasn’t going to take “no” for an answer, she got back up on her horse, and she found a way. Yes, her everyday mobility has shifted towards a slightly different way of living, but life hasn’t changed. While many cases of MS can be much more debilitating than the one my mother battles, I encourage those suffering from this life-changing disease to maintain the strength my mother has shown me. In honor of her continuing battle and as a tribute to her perseverance, this April I took on a personal “Swim for MS” challenge to swim 500 laps and raise $1,000 in 30 days. Sound hard? Not when you have this kind of inspiration. Read more about Hannah’s Swim for MS on her webpage today! MSAA is excited to share several updates on Swim for MS.
Are you looking for a way to get involved with a great cause or receive volunteer hours? National Volunteer Week is April 21-27 and Global Youth Service Day is April 26-28! The theme this year is Celebrating People in Action. 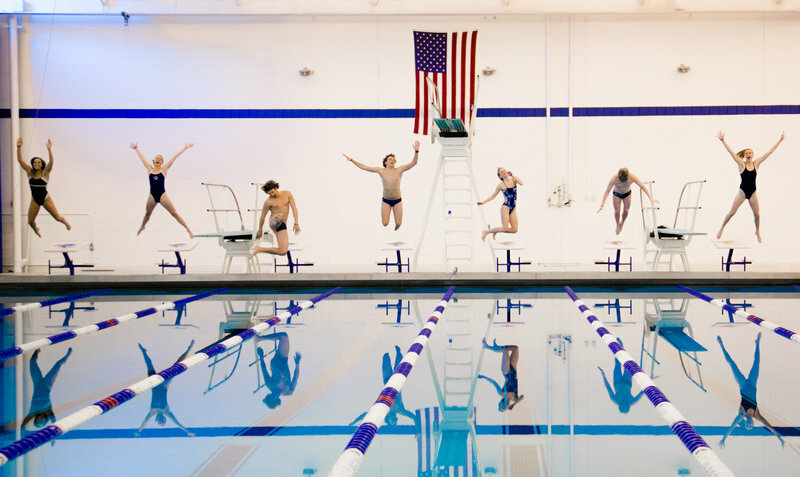 Pledge to swim 100 laps or jump 250 cannonballs and raise $250. Pledge to distribute 50 Swim for MS brochures in your community*. Pledge to ask 10 local stores to post a Swim for MS flyer on their window or on a wall*. Contact your local community pool and set up a one-day Swim for MS event, such as pool volleyball, a team relay race, or a pool party. *If you will be distributing flyers or posters, please submit this form. MSAA will contact you within 24 hours. MSAA has partnered with Pura Vida Bracelets for MS Awareness! For each bracelet purchased, Pura Vida will donate $1 to MSAA. To get your Pura Vida Bracelet, please visit this link. Swim for MS has a CaféPress site! Here, you can spread awareness by purchasing a Swim for MS hat, backpack, sticker, car magnet, and more! 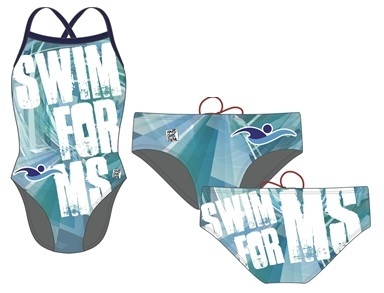 To view our Swim for MS shop, please go to CafePress.com/SwimForMS! The Multiple Sclerosis Association of America (MSAA) is pleased to announce its new partnership with Fitter and Faster Swim Tour to help promote Swim for MS. Fitter and Faster Swim Tour (FFT) organizes and plans professionally managed swim clinics across the United States to teach and inspire swimmers of all ages and skill levels. Serving as a distribution sponsor for Swim for MS, FFT will promote it partnership with MSAA to all those who attend their 2013 national clinic tour through flyers and onsite announcements, include the Swim for MS name on each participant’s identification wristband and post ongoing updates on Swim for MS activities to Facebook and Twitter. Congratulations to Jacob for raising $1,485 through Swim for MS in the month of March! Congratulations Matt and Hannah for winning two Disney one-day park hopper passes! The Multiple Sclerosis Association of America (MSAA) is pleased to announce its new partnership with SwimOutlet.com, the web’s most popular swim shop, to help promote the charity’s national fundraiser, Swim for MS. Serving as the distribution sponsor for Swim for MS, SwimOutlet.com will feature promotional information and ongoing updates on swim events through newsletter articles, targeted email campaigns, and posts on social media including Facebook and Twitter. Supported by national sponsor Genzyme Corporation, Swim for MS is a unique fundraiser in which volunteers are encouraged to create their own swim challenge while recruiting online donations from supporters. Swim challenges can range from swimming laps for pledges to jumping cannonballs for cash. Swim for MS appeals to swim enthusiasts of all ages, social and community groups, students seeking volunteer service hours, and families enjoying their backyard pool. For more information and to register, visit SwimforMS.org. Adding additional awareness and excitement to the fundraiser, MSAA has enlisted the volunteer support of four-time Olympic gold medalist Missy Franklin to serve as the Swim for MS Ambassador. Franklin is featured in a series of flyers, brochures and a new national television public service announcement, encouraging individuals to participate in this exciting fundraiser which supports vital programs and services for the multiple sclerosis community. Starting in March, MSAA will award the top fundraiser of the month with an autographed photo of Missy, providing the minimum amount raised is $500. SwimOutlet.com is the largest online specialty store for aquatics in the United States. The online retail store grew out of a dedication to providing the best goods and services to anyone interested in aquatic activities and sports. SwimOutlet.com has the largest selection for swimming, water polo, fashion, beach and surf! In addition to having an extensive selection and the lowest prices, SwimOutlet.com offers phenomenal customer service and fast shipping. The company has won the hearts of over two million happy customers who’ve helped spread the word on where to find the best deals. It has quickly developed into the web’s most popular swim shop! For more information, visit http://www.swimoutlet.com.